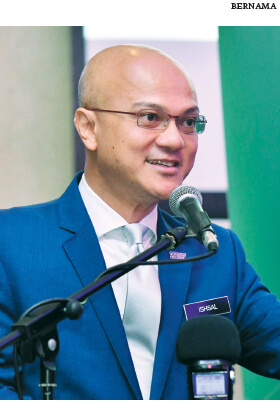 This article first appeared in The Edge Malaysia Weekly, on February 11, 2019 - February 17, 2019. MALAYSIA is likely to join many developed countries in introducing new laws and updating existing ones to combat online piracy. The billion dollar question, however, is whether regulations will have enough bite and if change will come swiftly enough with the government looking to step up enforcement and stop leakages in tax revenue. The Malaysian Communications and Multimedia Commission (MCMC) has already said that it is exploring regulations against illicit streaming devices (ISD) or so-called Android TV boxes that allow for easy streaming of pirated content. More rules are also being reviewed. “The MCMC hopes to ensure that online networks are not abused against public interest,” MCMC chairman Al-Ishsal Ishak tells The Edge. He did not specifically say whether internet service providers (ISPs) or manufacturers will be compelled to block pirated content, which essentially impedes creativity. It also curbs the growth of our local content industry by stealing revenue from the creative industry itself as well as content producers, in favour of the few criminal syndicates and those who neither invested in, nor contributed to, the production of legitimate content. Some consumers lament that they turn to pirated content due to the absence of legitimate avenues to buy the content that they want while others complain about high subscription prices. Content producers argue that piracy raises prices as the price point needs to be higher in order to recoup costs when less people pay for quality content, which requires a substantial investment. There is also the danger of personal data theft and financial losses from pernicious malware, spyware and ransomware on pirate sites, according to a report by the European Union Intellectual Property Office. Online TV and movie piracy took away an estimated US$31.8 billion (RM129.6 billion) in global revenue as at 2018 and it is estimated to reach US$51.6 billion by 2022, according to news reports citing London-based Digital TV Research. Back home, online piracy cost an estimated RM2.27 billion in revenue opportunity loss to the Malaysian economy and RM330 million in taxes to the government in 2017, according to MUSO’s Global Film & TV Insight Report. The report also estimates that 2,012 jobs were lost by the local film and TV industry and 1,327 more at its supporting value chain. In 2016, the losses were estimated at RM1.05 billion in revenue, RM157 million in taxes and 1,200 jobs, according to a news report. With content producers in Malaysia collectively investing some US$200 million in local content per annum for the past three years — 1.5 times the US$130 million appraised price of superyacht Equanimity every year — the stakes are high. Some jurisdictions are clamping down hard on copyright infringement, not just for illegal downloads but also for streaming pirated content. In the UK, anyone caught sharing illegal files may face up to 10 years in prison after the UK’s Digital Economy Act became law in 2017. Its government has also taken legal action against individuals for selling Kodi set-top boxes, preloaded with access to pirated streams. The European Court of Justice also ruled that it is illegal to stream copyrighted content for free on multimedia players such as Kodi, effectively clarifying a previously legal grey area. In June 2018, Hong Kong customs arrested two men for illegally livestreaming World Cup soccer matches from a paid-tv provider (Now TV) through an online platform (VOOV) that allowed viewers to purchase virtual gifts that were redeemable for money. Authorities have reportedly said that viewers may also be liable to civil sanctions as they did not pay to watch the livestream. In December 2017, three men were jailed for 21 to 27 months for illegally broadcasting Now TV’s programme to customers through streaming devices, which was then deemed the heaviest penalty for internet piracy in Hong Kong. In May 2017, Thai officials reportedly arrested two British men and a Thai woman for illegally transmitting English Premier League football matches to viewers in several Asian and European countries via sites like 365sport.tv, and was accused of causing more than THB100 million in damages to broadcast rights holders. Across the Causeway, content owners can apply for a High Court order to compel ISPs to block pirate websites such as The Pirate Bay, KickAss Torrent and Solarmovie.ph, thanks to a 2014 amendment to its Copyright Act. Yet, such blocks can easily be circumvented by changing the domain name system (DNS) setting on the set-top boxes, known locally as TV boxes. That is why the industry is closely monitoring the impact of regulation leading to the ban on the sale of devices that promote access to pirated content, one of the expected changes to be tabled in Singapore’s Parliament this year, following the completion of a three-year review of copyright laws. Those interested in the legality of set-top boxes — which can also stream legal content as well as pirated ones and can be bought online — would also be watching the upcoming trail of An-Nahl and Synnex Trading in April. The two set-top box sellers in Singapore will reportedly be contesting multiple charges under Section 136 (3A) of the Copyright Act for having “willfully infringed” on the copyright of four companies — telecommunication companies and pay-tv providers Starhub and SingTel, entertainment giant Fox Networks Group Singapore and The Premier League football association. In Malaysia, it is understood that the use, possession and supply of set-top boxes with illegal streaming services can be classified as an offence under Section 239 of the Communication and Multimedia Act 1998, with a penalty of up to RM100,000 plus two years jail. Those who run illegal streaming or torrent sites may face up to RM20,000 per infringed copy plus five years jail — RM40,000 and up to 10 years jail for subsequent offences — as per Section 41 of the Copyright Act 1987 under the Ministry of Domestic Trade and Consumer Affairs, but industry insiders say local laws need to be updated to specifically address rampant online piracy. “There is an urgent need for an improved legal framework to simplify the process by which rights holders may seek redress and provide impetus for market participants to cooperate and deal with the issue of content piracy,” an industry insider explains, citing data from Irdeto of Malaysia having the second largest share of content piracy in Southeast Asia (after the Philippines) at 17% as at the first quarter of 2016. That figure is likely to have grown. MUSO’s data shows global piracy rising 1.6% in 2017, with visits to pirate sites for television content up 3.4% globally from 2016 and 53% for all online piracy taking place on unlicensed streaming platforms. If illegal DVD sellers felt obligated to warn clients against the downloading of pirated movies a decade ago, imagine the strife for content producers in Malaysia. Last November, Taiping magistrate Asmadi Hussin ordered Muhammad Izwan Shah Kamal Shah to pay RM100,000 in fines to Skop Productions for illegally streaming the film Munafik 2 — that cost Skop Productions RM2.8 million to produce — on his Instagram and Facebook using the account named Sasuke Kun on Sept 19. Muhammad Izwan, who was in his 30s, subsequently made a public apology on Facebook and asked that others learn from his mistake and not take lightly to any act that breach intellectual property rights. “We hope it will teach them a good lesson and send a strong message against fooling around with intellectual property. Now is not the time for talk. We must act. In fact, we must bite!” Datuk Yusof Haslam, prominent actor and film director, who is also the managing director of Skop Productions, reportedly said following the court decision. His son, Syamsul Yusof, director and main actor of Munafik 2, also called on filmmakers to unite against piracy during a press conference at the National Film Development Corporation (Finas) last November. “We are very sad and disappointed that video piracy remains rampant,” he said, noting how his earlier movie Munafik too fell prey to piracy. “It is high time that filmmakers unite and take legal action against any video pirate caught in the act and identified,” he reportedly said. In 2013, Skop Production’s KL Gangster 2, which cost RM3.7 million to produce, was leaked online two months before its official release date. “We had estimated to make up to RM15 million from KL Gangster 2 in box office collections. Sadly, the leak affected our ticket sales and KL Gangster 2 only made RM4.9 million after its cinema run ended,” Yusof reportedly said in 2017. MCMC chief Al-Ishsal is right for saying that “curbing piracy in this digital era is a collective responsibility of many parties in the content value chain. From content producers, distributors, platform providers, regulators and the general public, all have their role to play”. Towards this end, the MCMC and the Coalition Against Piracy (CAP) are collaborating with the Asia Video Industry Association (AVIA) and the broadcast industry in organising the Kuala Lumpur Digital Content Anti-Piracy Summit on Feb 14 at the Putrajaya Marriott Hotel. “The summit will bring stakeholders together in sharing information on how to curb digital piracy. Local and international experts will be invited to share their experiences and ideas,” he adds. It is hoped that the gathering will yield good feedback which will be used to combat piracy and to build a better ecosystem for the continued development of local content and Malaysia’s film industry. Astro Malaysia Holdings Bhd CEO Henry Tan concurs. “There has to be concerted efforts to combat piracy in all forms. If we do this (anti-piracy) sporadically, it will be a futile exercise,” he says. “In the past, piracy was of poor quality, dated [old] and sold at [pasar malam DVD] price. Today, [pirated copies] are of good quality with the latest content and is available for a song … Piracy has indirectly contributed to the increase in content cost. If more people shun piracy and subscribe to legitimate services, then licensed broadcasters can drop their price of the subscriptions more,” he adds. Citing data from Media Partners Asia, Tan says Malaysia’s expenditure on local content was about US$201 million in 2017, US$205 million in 2016 and US$198 million in 2015. Astro alone has invested RM3 billion in producing original local content over the past decade. “In FY2018 alone, we produced and commissioned over 12,000 hours of local content and we continue to aggregate and serve an eclectic content slate spanning the best vernaculars, hit regional shows, live events, sports and international offerings,” Tan says. According to him, Malaysia, being a diverse market with a multi-ethnic population, mean that Astro needs to invest more to produce vernacular content that appeals to a variety of market segments. Astro is also committed to making and producing high-quality movies and has been setting new records in the local box office collection. Four of the top five local movies are by Astro, Abang Long Fadil 2, Polis Evo, The Journey and Ola Bola. “We look forward to the government’s help in exporting creative Malaysian content beyond Malaysia. 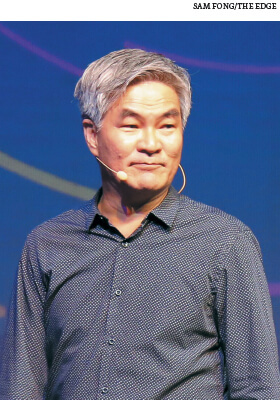 Korean content is a good case study of how the South Korean government has helped Korean talents, studios and producers in bringing the success of their content to the global stage,” Tan says. Good returns on investments in content would also encourage further investments, more so if rampant piracy can be curbed. Citing “an unprecedented rate of disruption”, Astro Malaysia in December last year offered a voluntary separation scheme (VSS) to raise operational efficiency and save about 15% or RM80 million in staff costs per year. Hong Kong’s oldest television station TVB also announced lay-offs late last year. Part of the problem is because many consumers knowingly seek out pirated content and most do not see it as a wrong or as something that can eventually hurt the creative industry, if allowed to proliferate. Surely piracy should end because consumers are willing to pay to support the production of quality content and not because there is no meaningful content left to pirate.